“Ma’am your waiting time is 45 minutes” was my valet’s words as I pulled up at the entrance of Burma Burma in Indiranagar. Considering I was here on Monday I was a little surprised but was lucky that I had a prior reservation that ensured I was seated in 5 minutes. As it was my first time here, I was certainly intrigued as to what was it that kept this place busy. But first it was the décor that caught my attention. Burmese elements are part of the overall ambience and interestingly it is well balanced in the expansive space. Whether it is the grey toned weathered stone walls inspired from the pagodas, the antique embellishment plates, lacquered furniture and the dolls and accessories here are beautiful. 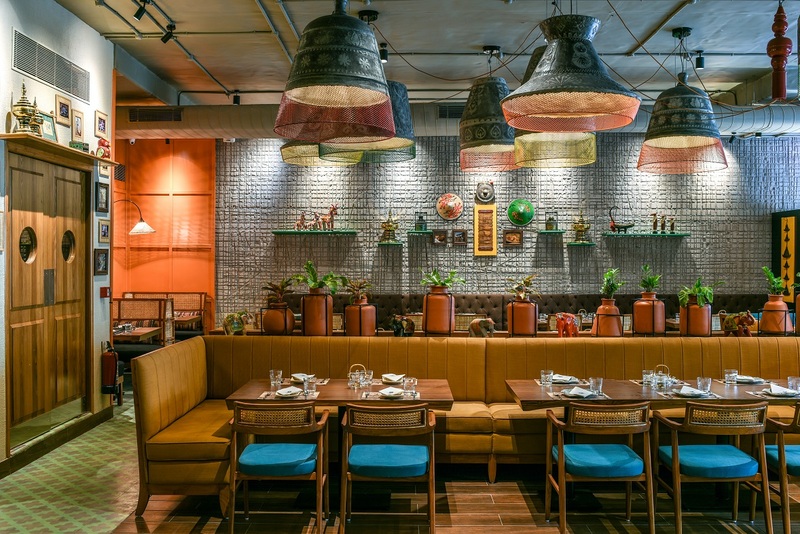 Incidentally the restaurant is the brainchild of Ankit Gupta and Chirag Chhajer and Ankit grew up in Burma and has been largely responsible for many of the elements here. I am told that the food served here is part of a festival in Burma when the meat eating nation turns vegetarian. After we settle down into our table, again it is the wick sofa and colourful upholstery made with the famed Burmese Longyi fabric that catches my eye. Interestingly the menu here is entirely vegetarian and there is no alcohol served which makes it a perfect choice being a teetotaler. The watermelon and cranberry cooler is a good choice of drink for its slightly sour taste and a zing that is unmissable. 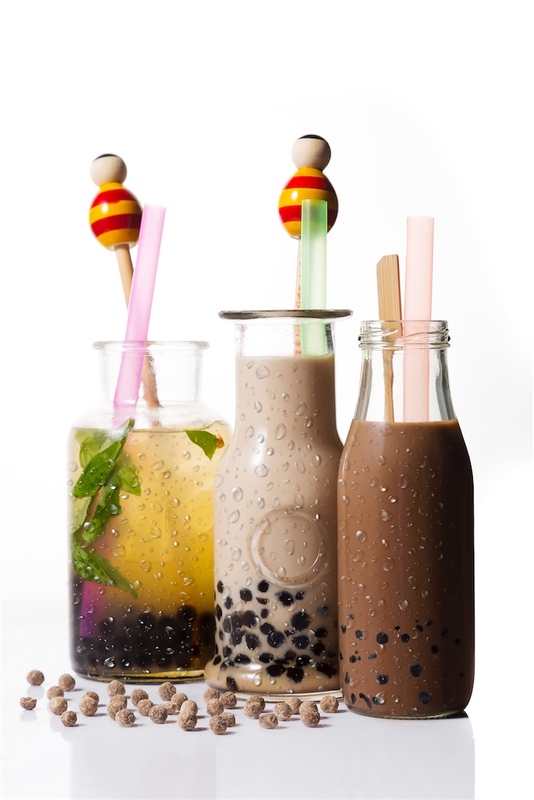 Kids will love the Nutella Bubble Tea – well adults will too. This place is known for its fine, exclusive and specialized custom tea blends. 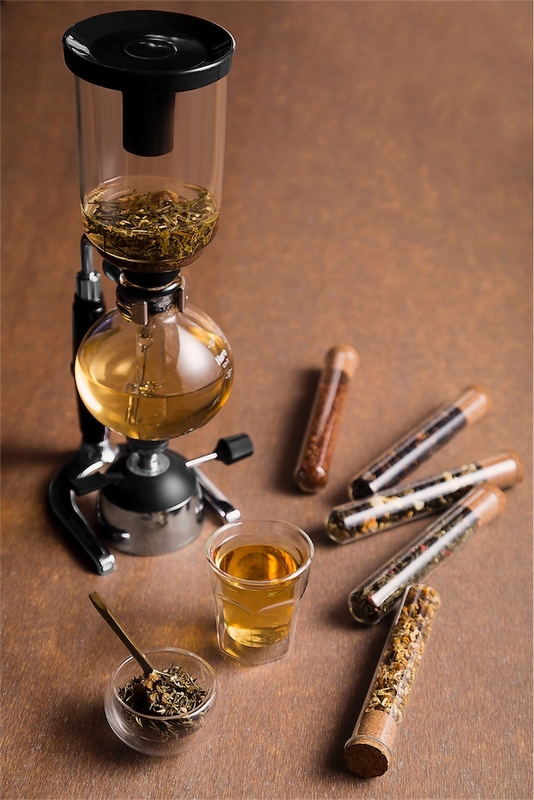 Try the orange and peach infused White tea – a blend created in house is a ritual and the process happens on the table taking approximately 7-8 minutes. For starters try the Tayat Ti Thoke or the Raw Mango Salad that has an interesting flavour profile of shredded raw mango, tossed with roasted chilli, crushed peanuts, lettuce and brown onion that is crunchy and light. 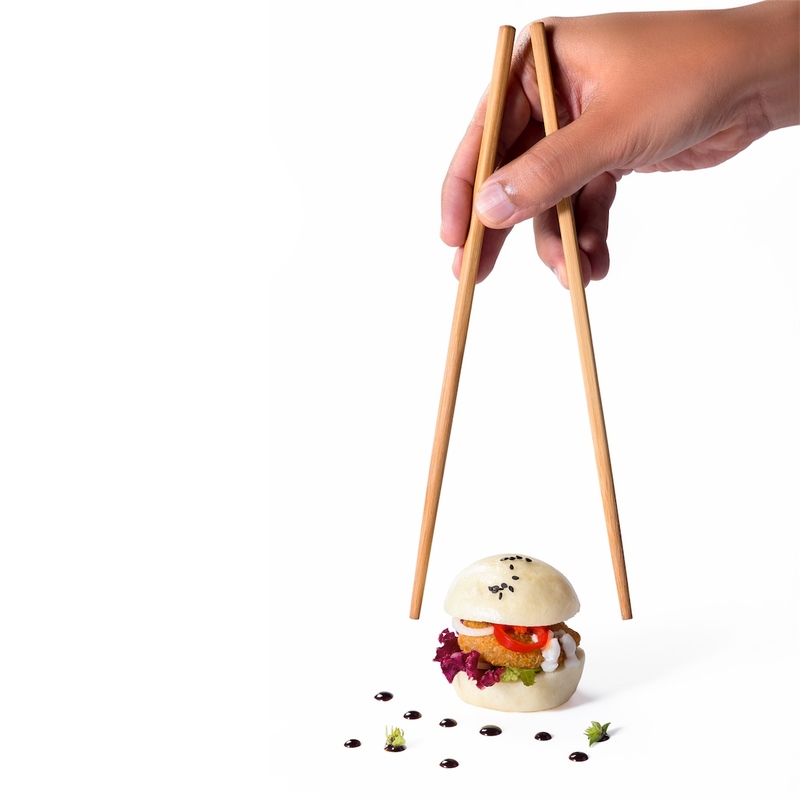 Also sample the Crunchy Tofu Steamed Buns that is so soft that it simply melts in your mouth. Again it is the apt spice level that makes this dish a winner. For the soup I asked for a mild spice one and was recommended the chick pea soup that is wholesome and bursting with flavours. We also sampled the mock meat skewers made with tofu that is heavily textured and filling too. The Burmese falafel tossed in a garlic sauce is also a wholesome dish. 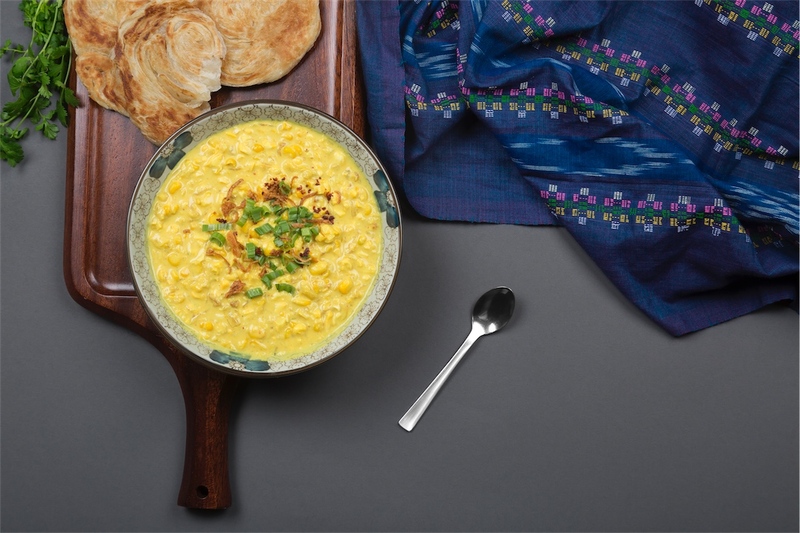 For the main course, I recommend the Pyan Boo Palata, a crispy Burmese paratha with corn cream that is delectable. The crispy paratha combines with the corn curry so well that you cannot stop eating this one. The Khow Suye is a one pot dish with creamy coconut milk with vegetables and noodles and a whole bunch of toppings from fried garlic, roasted peanuts, lemon wedges, chopped spring onion, fiery chilies and fried onion. The burst of flavours that hit you when you eat this dish is amazing and little wonder that most tables order this. And yes, do keep some place for desserts and I recommend the Avocado ice cream with honey caviar that is light and fresh as well as the delectable Burma Bomb, a decadent chocolate dessert that is utterly sinful. In all here is a meal that will leave you happy and lift your spirits. Now that is what good food should do, right? Address: 607, Ground Floor, 12th Main, Hal 2nd Stage, Indiranagar, Bangalore. All pics are courtesy Burma Burma. While I was here to review the meal all opinions are my own, as always. It is Shrinidhi, do visit when you are in Bangalore next.